Not even the bride could deny a certain punch-line quality to her current situation: hard-nosed divorce attorney dumps her fiancé and her career to take a job selling wedding gowns. Sydney Garfield has always approached relationships rationally—none of this emotional head-over-heels or opposites-attract business. Marrying Jack Kaiser is the smart thing to do—after all, he’ll be the “perfect” husband. But after a life-changing shake-up at work, Sydney abandons logic—and her fiancé—to chase the fairy tale. Real-estate mogul Jack can’t believe the woman he’s head-over-heels for is ditching her hard-won success—and him—to work as a small-town shop clerk. That’s her idea of a fairy tale? Hoping she's merely in need of time, Jack follows Sydney to Smizer Mill, where he invests in the quaint coffee shop next door. Now, he’s got a few new challenges: make a failing coffee shop a success and convince Sydney that theirs is a romance worthy of a true happily ever after. I love wedding stories. There is something about a couple who is already in love that gets me. I mean, I'm already married so it is nice to read about people who are already in committed relationships and that have bumps in the road. I like to see how they overcome problems and fall in love all over again. Sydney is running scared. But my favourite thing is that Jack is coming for her and he won't leave without her. I think every girl wants to feel like she's worth the fight. Jack made this story for me. This was a quick and easy read. Just enough romance to wet your appetite. I am looking forward to more. I'm hoping we'll see a story with Drusilla and the Chief of Police! This sounds like a really cute summer read. Like you I love a good book that already has a relationship as the focus. This also sounds really unique and I think I will have to read it. 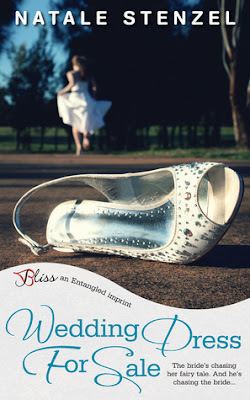 You must also check the Runaway Bride book. It is also fun to read.